On this page are a series of links, accompanied by brief descriptions, to important places and internet sites pertinent or dedicated to Ruskin and his legacy. You can find out much more by exploring the sites. To make this easy, following each description, I have placed a “hot link” to the site. Simply click on that and you’ll be transported there! The listing of sites is alphabetical. Brantwood was Ruskin’s home for the last thirty years of his life (1871-1900). Located in the Lake District in England’s North, today, as an English Heritage building, it is open year round. The image on the left is a reproduction of Ruskin’s watercolor of the house not long after he purchased it; the image on the right shows how it looks today. Inside, numerous displays inform visitors about Ruskin’s life and works. Many of his books are still in the library (much as he left it), his drawings are interspersed throughout the house, and much of his furniture remains. 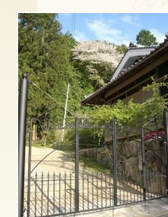 The outside grounds have been recently restored and now display much of the beauty they had when he was alive. Brantwood sponsors regular lectures on its famous Victorian as well as on many contemporary writers and artists. The house overlooks beautiful Coniston Water and is about three miles from the Village of Coniston where its earlier owner lies buried under a marvelous Celtic Cross designed by his former student at Oxford and long-time friend, William Gershom Collingwood. It is possible to book both conferences and holidays there. The Ruskin and Morris Center of Osaka is situated in Nose-Cho, a beautiful town in the northern districts of Japan’s Osaka Prefecture. Visitors are welcome to examine the valuable materials and documents, collected from all over the world, representing the thoughts and work of both John Ruskin and one of the Victorians most affected by his work, William Morris, designer, poet, architect, landscape conservationist, and, perhaps most importantly, founder of the Arts and Crafts Movement in the UK, itself devoted to putting into living practice Ruskin’s ideals which centered on the connection between workers, their creativity, and the work they produced. The Center is dedicated to helping people find creative ways for sustaining beautiful homes, towns, cities, and regions. In addition, the Center has a significant number of Ruskin’s letters (most unpublished) which can be easily made available for scholarly research. The Ruskin Collection is known officially as the Collection of the Guild of St. George. All his life a teacher, when he established The Guild in the 1870s, Ruskin decided that, if working people, the principal focus of the Guild’s early activities, were to get the basic education they needed to live better lives, they would need resources he could gladly give–copies of the world’s greatest books and paintings, drawings of birds, trees, and landscapes, a collection of beautiful minerals, hand-on models of great architecture, more. To house these, he established The St. George’s Museum in Walkley, a suburb of Sheffield, an industrial city in the North of England, a city chosen because of its high percentage of working class people. Today, the original museum long closed, the collection is housed in the Millennium Gallery in the heart of Sheffield. Its displays of Ruskin’s artifacts and of themes of great interest to him change every six months (see website). The Collection is open to visitors year-round. 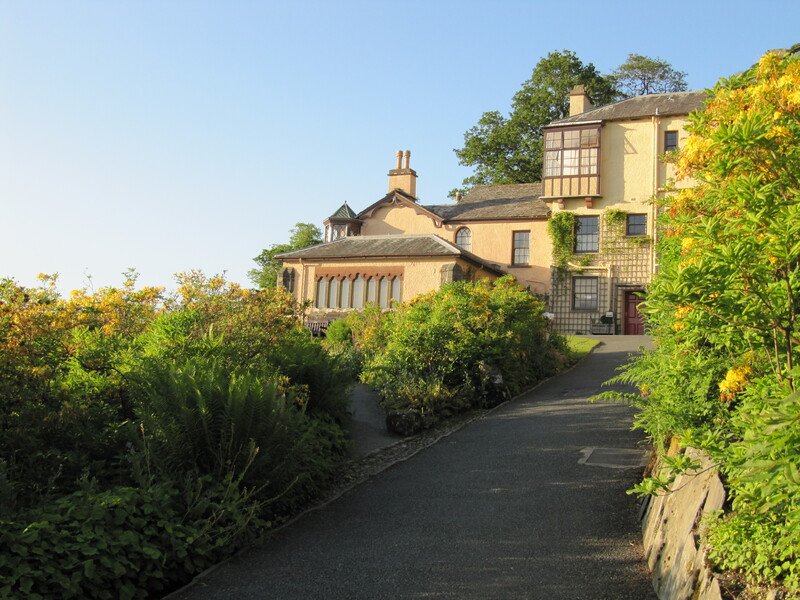 After Ruskin died at Brantwood in 1900, his estate, including all of his manuscripts and thousands of his letters, was inherited by his caretaker cousin, Joan Severn. 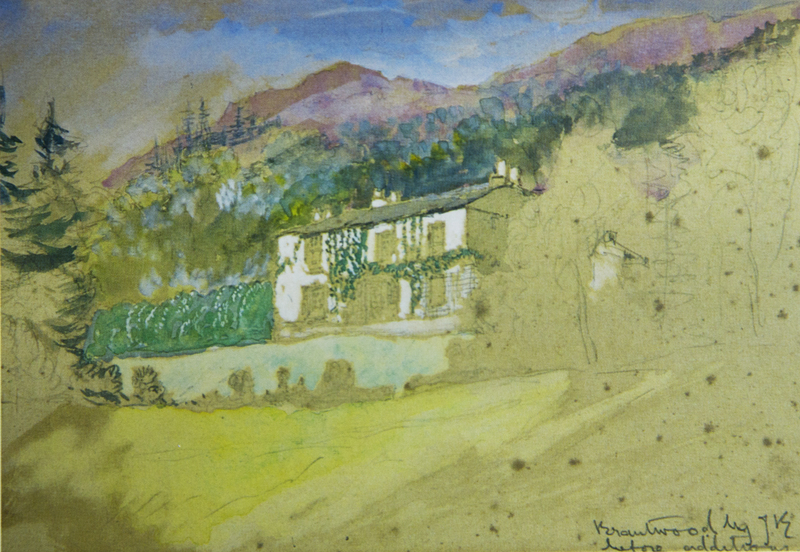 She and her family continued to maintain Brantwood until her death in in 1924, after which her husband, the painter Arthur Severn, became overseer. Ailing as that decade advanced, Severn determined to sell the house and its invaluable cache of Ruskiniana. The house and huge amount of its literary and artistic legacy were bought by one of Ruskin’s most ardent admirers, John Howard Whitehouse. Headmaster of a boys’ school, Bembridge, on the Isle of Wight, Whitehouse preserved Ruskin’s papers there until his death in 1955, after which James S. Dearden became curator of the legacy. Forty years later, it became clear that, if Ruskin’s artistic and literary materials were to be properly preserved, they would require a permanent, world-class home. 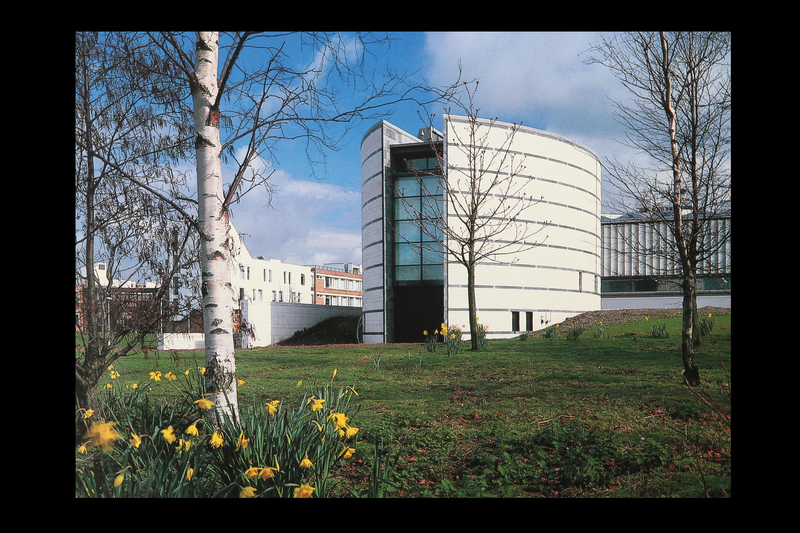 The Ruskin Library, which opened in 1998, on the campus of Lancaster University in the north of England (not far from Brantwood), was created for the purpose. Based in significant measure on Whitehouse’s collection, the Library makes its huge collection of Ruskin’s manuscripts, letters, and drawings available to scholars on a year-round basis. In addition, it curates art shows based on various Ruskin and Ruskin-relevant themes, oversees a regular series of scholarly talks (The Ruskin Seminar) and sponsors the annual Mikimoto Memorial Ruskin Lecture. Its website is particularly rich. To give but one important example, it makes available for download the entire 39 volume collection of Ruskin’s published works. The Ruskin Museum opened in 1901, the year after Ruskin’s death, by William Gershom Collingwood. Collingwood began as Ruskin’s student at Oxford, later became his secretary, and was, until his famed mentor’s end, his devoted friend. The Museum was dedicated then, as now, to be a memorial to Ruskin’s life, thought, art, and love of nature. Only a few hundred yards from where its subject lies buried in Coniston Churchyard, it houses hundreds of Ruskin drawings, diaries, letters, and notebooks, all presented at the highest level of modern museum design, including computer displays, and hands-on exhibits. It honors Ruskin’s love of geology with a series of walks in the environmentally rich surrounding area. Scholars can make appointments to study the Museum’s archives. Excepting only The Guild of St. George, The Ruskin Society is the oldest of the organizations devoted to helping wider audiences learn about the significance of the Victorian’s work. First founded in Manchester in 1878, it soon developed branches in Glasgow, London, and Liverpool. Members attended and gave talks, and sometimes set up practical schemes and campaigned in local politics to advance Ruskin’s ideas. In 1896, a new branch in Birmingham, led principally by John Howard Whitehouse (see related comments on him in the entry on The Ruskin Library, above), expanded and intensified the Society’s activities, becoming a leading voice in debates in progressive reform, with an emphasis on social and educational issues. The Society was once again rejuvenated in 1996 as an organization committed to celebrating Ruskin’s life, work, and legacy. It is worth noting that the Society’s logo (above), an image of a window at Brantwood, installed by Ruskin to recall his book, The Seven Lamps of Architecture, has a broader meaning for the current membership, symbolizing not only Ruskin’s intense interest in creative and humane building, but his life-long commitments to economic and educational reform and on-going revitalization of the arts. Today’s Society is based in London and, each year, sponsors lectures and trips to places of interest associated with Ruskin and his work. Membership is open to all. Ruskin Today is an informal alliance of organizations and individuals who share an interest in the life, work and continuing relevance of Ruskin to today’s world. Set up in 1996 to organize the program of events that celebrated the centennial of Ruskin’s death–2000–its members meet two or three times a year with their primary objective being to develop projects based on Ruskin’s ideas. At present, the organization is involved in coordinating celebrations, plans, and ideas–on both sides of the Atlantic–for “Ruskin 2019,” the year which marks the bicentennial of his birth. 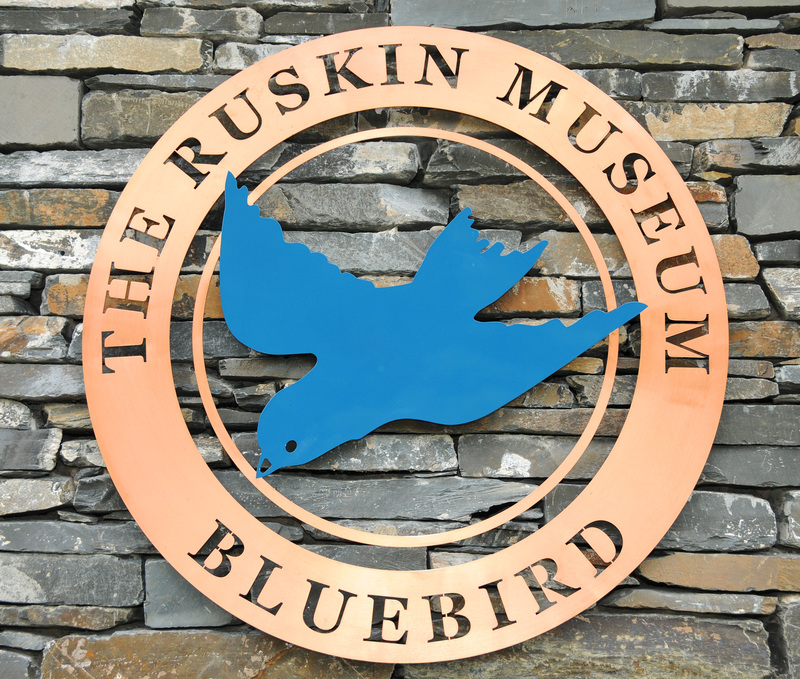 Ruskin Today was founded by David Barrie, who chairs it; the honorary secretary is Lynn Blackadder. The website is scheduled for updating in 2014. One of the oldest websites on the internet (begun 1987), The Victorian Web is also one of the richest. Taking as its central task the facilitating of information sharing about the era from which it draws its name, it provides ways to view and share images, books, articles, weblinks, and more. Not surprisingly, Ruskin occupies a central place on its pages (as do Dickens, Tennyson, and Jane Austen and many others). It provides links to recent articles and books written about him, reviews of these articles and books, suggestions about how to learn more about his theories on art, architecture, religion, and society, and ways to enter into internet discussions with those working in these areas. For example, the site has an online edition of Ruskin’s enormously influential The Seven Lamps of Architecture (1849); using the best technical capabilities of the internet, this version is able to place images of his original illustrations close to the text which speaks of them; it also adds other details, such as contemporary photographs of the subjects of the drawings and connections to a wide range of other material which would allow one to learn more about his other architectural writings and other works. The link below takes you directly to the Web’s Ruskin page. Once there, click on any subject highlighted to find out much more. Dear Jim, Brilliant to see you on-line in print. All this Ruskin. Fabulous! Here is a great site that your readers will like as well: http://www.ruskintoday.org/ with lots of links to help us all find our way.